This page covers the author of Creepers. For other authors named David Morrell, see the disambiguation page. David Morrell will sign and discuss his latest book, Murder as a Fine Art (Mulholland; $25.99). David Morrell (born April 24, 1943 in Kitchener, Ontario) is a Canadian-American novelist, best known for his debut 1972 novel First Blood, which would later become the successful Rambo film franchise starring Sylvester Stallone. He has written 28 novels, and his work has been translated into 26 languages. He also wrote the 2007-2008 Captain America comic book miniseries The Chosen. Thomas De Quincey, best known for his sensational memoir Confessions of an Opium Eater, is the prime suspect in a series of horrific murders that paralyze London. The killer seems to be imitating De Quincey's true-crime essay "On Murder Considered as One of the Fine Arts." Desperate to prevent more atrocities but crippled by opium addiction, De Quincey is aided by his brilliant daughter, Emily, as well as two determined Scotland Yard detectives. Murder as a Fine Art recreates gaslit London as a battleground between a literary luminary and a master killer whose secrets are deeply entwined with De Quincey's own, in a riveting thriller along the lines of Dan Simmons' Drood, Matthew Pearl's The Dante Club, and Caleb Carr's The Alienist. David Morrell is best known for his debut 1972 novel First Blood, which would later become the successful Rambo film franchise starring Sylvester Stallone. He has written 28 novels, and his work has been translated into 26 languages. He is also a former professor of American Literature at the University of Iowa and received his PhD from Penn State. Thank you for supporting David Morrell, MysteryPeople and your local independent bookstore! David Morrell reads from Lessons from a Lifetime of Writing: A Novelist Looks at His Craft. David Morrell on tour for shimmer. David Morrell on tour for The Spy Who Came for Christmas and Captain America. "David Morrell" is composed of at least 3 distinct authors, divided by their works. You can edit the division. 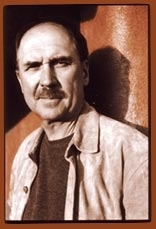 David Morrell is composed of 2 names. You can examine and separate out names.